Sandra Van Cleve, Contralto, has taught voice privately for Kingwood Music School for twelve years. 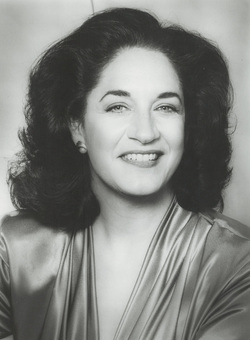 She spent many years in New York City singing professionally in places such as Carnegie Hall, Alice Tully Hall and with the New York Grand Opera. She has performed many operatic roles with Arizona Opera, Palm Beach Opera, The Dallas Opera, Gotham City Opera, and Manhattan School of Music, to name just a few. Her musical theatre credits include Yeston’s “Nine”; Sondheim’s “Sweeney Todd”, Gilbert & Sullivan’s “Iolanthe” and Lerner & Lowe’s “Brigadoon”. She is a member of the National Association of Teachers of Singing (NATS) and served on the Board of Directors of American Singer’s Opera Project in New York. She was also President of the Professional Women Singer’s Association of New York. Sandra was educated at Sam Houston State University and American Institute of Musical Studies in Graz, Austria. Here in Houston she has served for six years as the Alto Section Leader at First Presbyterian Church of Houston. In addition she recently took a professional singing tour of Southern Italy, with a church from Sugarland, Texas. She now enjoys a singing position in the Alto Section of her home church here at First Presbyterian Church of Kingwood. Sandra's private voice students at Kingwood Music School have been accepted into universities such as Northwestern in Chicago; New York University; Pepperdyne University in Malibu; Otterbein University in Ohio and University of Texas at San Antonio. Her students have credits with Houston Grand Opera, the American Boys Choir, Theatre Under the Stars, AD Players, and Centre Stage in Kingwood, and have been nominated for Tommy Tune Awards at Theatre Under The Stars. Ms. Van Cleve was a winner for the Classical Productions Vocal Competition; New Jersey Verismo Opera Awards, Recipient of a Wagner Society Grant and listed in the Wagner Society’s Gold Book for Singers. She was a finalist in the Gerda Lissner Awards for Opera; winner of the Ministerium Vocal Competition and recipient of a grant to study with Opera International, Rome, Italy with Mdm. Antoinetta Stella of La Scala Opera. She credits her love of singing to her father who sang with the Houston Grand Opera chorus in it’s early days, and who used to sing her and her sister to sleep at night, and wake them up with a song first thing every morning.